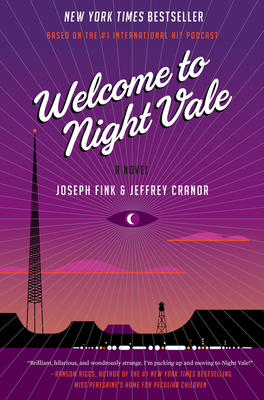 Weirdly fascinating, wonderfully absurd, and wildly imaginative - Fink & Cranor take us to Night Vale, a desert city where time and objects don’t exactly do what they should and where people don’t seem exactly to be what you’d expect. When a mysterious man leaves notes around town saying “King City”, and when Josh (who happens to be a teenage shape-shifter) disappears, his mother Diane and local pawnbroker Jackie set out to find King City. Not surprisingly, the trip is almost impossibly challenging and bizarre. If Samuel Beckett and Harold Pinter combined talents with Rod Serling and Kurt Vonnegut, they might have created Night Vale.